Howlong Golf Resort is the perfect destination for your special event, with spectacular views over manicured gardens and dreamy lagoons. There is something for everyone and every occasion. Howlong Golf Resort is perfect for outdoor ceremonies and offers picturesque views from the function room. 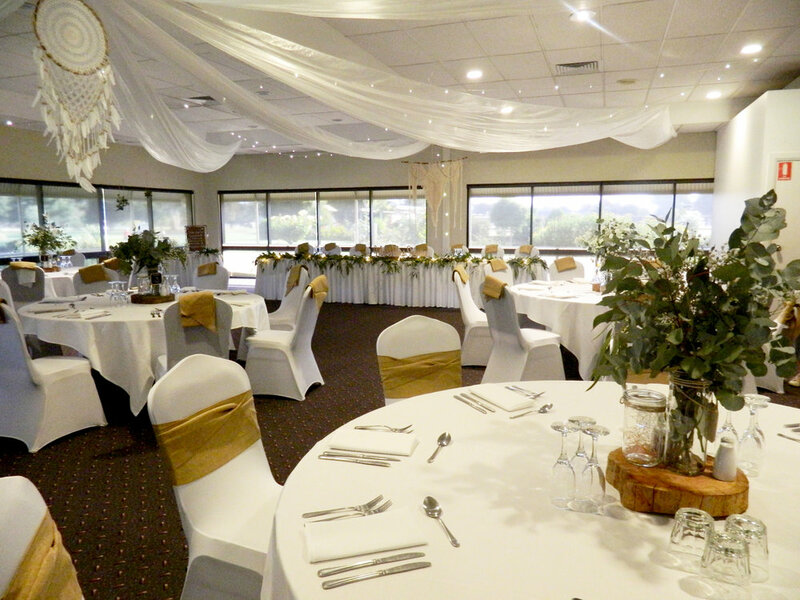 Howlong Golf Resort is regarded as the upper Murray's premiere golf wedding venue. Our highly knowledgeable team can assist you in creating a unique and personalised experience, that will ensure your special day is the wedding of your dreams. I just want to say a huge thank you to Lee and the golf club staff who assisted with our wedding. Your hospitality was absolutely fantastic! We had loads of comments about how fantastic the food was and how lovely the wait staff was. Our hospitality team has a series of versatile packages to suit all events and occasions. Whether you’re hosting a wedding, private function, corporate event, conference, Christmas party or Christening we have a package to suit your needs. We have 2 dedicated rooms providing for up to 80 guests classroom set up and 150 guests theatre style. All function rooms feature magnificent vistas of the beautifully manicured 18 Hole Golf Course. The passing of a loved one is a difficult time. Our professional team are experienced in planning wakes and will assist you in planning your loved one’s post-funeral gathering with sensitivity and affordability.